Optimus G2: the universe's most powerful robot ... er... phone! LG and Qualcomm today announced that the next G series phone will sport the super-specced Snapdragon 800 processor, confirming months of rumours. Although details of the phone haven't been announced, the Optimus G follow up will supposedly feature Android 4.2: Jelly Bean, a 5-inch full HD display, 2GB RAM, 32GB internal storage, 13MP camera and a 3,000mAh battery. With the Snapdragon 800 capable of hitting speeds of 2.3GHz and including LTE, the processor will make the Optimus G2 a very powerful, 4G-enabled phone. "The new, best-in-class Qualcomm Snapdragon 800 processor will help deliver blazing fast web browsing, eye-popping graphics, seamless connectivity as well as an unmatched multimedia experience," said Murthy Renduchintala, Qualcomm's Executive Vice President. According to Renduchintala, the new LG phones will be "fully tailored and tightly integrated with the entire next G series platform". Qualcomm touts that the Snapdragon 800 will deliver 75 per cent better battery performance than its S4 Pro processor, supports higher display resolutions and also allows the recording and playing of 4K, or Ultra HD, video. 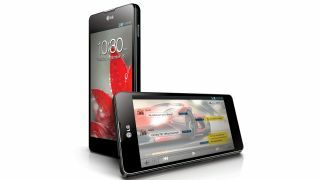 While exact specs for the Optimus sequel is unknown, the new processor leaves the door wide open for a number of extra features for the Optimus G2. Reportedly, the phone could also sport always-on voice command, which is also a feature set of the Snapdragon 800, allowing users to create custom phrases for phone commands.